President Umaru Yar'Adua officially handed over the Peoples Democratic Party (PDP) flag and party leadership to Governor Isa Yuguda of Bauchi state, just as the decamped governor accused the All Nigeria Peoples Party (ANPP) of injustice, inequity and orchestrated plans that frustrated him and his supporters out of the party. Yuguda also said that ANPP has been hijacked by a clique, citing several cases of injustices meted to supporters, including General Muhammadu Buhari, while accusing the national leadership of the party of dictatorial tendencies. But in a swift reaction, the National Publicity Secretary of ANPP, Emma Eneukwu denied the allegation of high-handedness and said that the governor was only making excuses for his action. The letter from the governor complained of the annual check off dues paid by Bauchi state chapter of ANPP from August 2007 to January 2009 to the tune of N5 million, which the national secretariat denied knowledge of receiving. According to the letter, Governor complained and asked the party to investigate the former state chairman, Sanin Malam, but he was shielded despite evidence of vouchers of deposit of the said money per month. Also, the letter from Yuguda complained of the dictortial tendencies from the national leadership which brookes no interferences nor listening to opposing views. 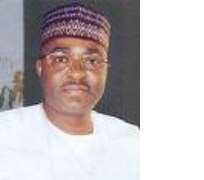 Yuguda cited the treatment meted to General Buhari, former Governor Dalhatu Bafarawa, Jamil Isyaka Gamawa, the mass resignation of the Gombe state party executives and the former national secretary of the party who has since decamped to the PDP. “At the moment, there is crisis in the party, the integrity group who are in court, the impending formation of the mega party, the Buhari Organisation that are already looking at the possibility of leaving the party and the creation of factions in the party in Bauchi, Yobe and Niger states ”, he said are some of the reasons why he left the party. Yuguda lamented that it was the actions of the national leadership of ANPP in meting injustices and inequity as well as lack of respects to members that forced him and his supporters out of the party, he joined in January 2007.